M. Irene (Levan) Hoffman, age 77, of Kutztown, went to be with her Lord and Savior on Monday, January 14, 2019. The love of her life for 56 years, David Albert Hoffman, predeceased her on January 6, 2018. Born in Reading, Irene was the oldest daughter of the late Herbert J. and Martha C. (Hartman) Levan. During her childhood on the farms in the Oley Valley, she fostered a love of animals that continued throughout her life. 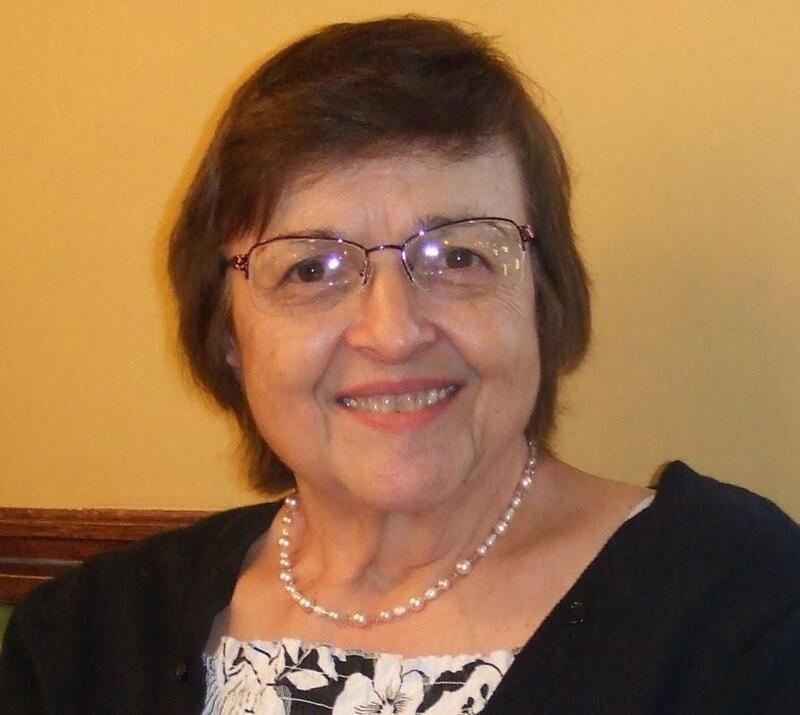 After graduating from Oley Valley High School in 1959, she attended Kutztown State College to pursue studies in education before marrying David, raising their children, and creating a nurturing home. She later continued her education by attending Reading Muhlenberg Career & Technology Center, where she received her Licensed Practical Nurse degree. Irene worked for St. Joseph Hospital, Reading and Kutztown Manor, Inc. She also worked as a private duty nurse for several years, where she advocated for the elderly. Irene had a heart for service, and volunteered frequently at church, whether teaching Sunday School, singing in the choir, or helping in the kitchen. An avid gardener, she delighted in the first tomatoes of the summer. She was a wonderful cook and baker, sharing meals and cookies with friends and family. She did canning, taking pride in feeding her family summer's bounty in winter from the stores in the cellar. As a gifted artist, her needle point and crocheting produced heirlooms which will be treasured forever. She poured her heart into all she did, and we will all miss her dearly. Irene will be greatly missed by her children, Darryl Hoffman, and wife Virginia (Kline), Kutztown, Kim (Hoffman), and husband Stuart Guinther, Macungie, and Karen (Hoffman), and husband Denis Newkirk, El Dorado, CA; eight grandchildren, Luke Hoffman, and wife Megan (Greiner), Anne (Hoffman), and husband Timothy Mills, William Guinther, and wife Caroline (Letourneau), Andrew, Emily, and Rachel Guinther, Cooper and Jenneth Newkirk; three great-grandchildren, Emma Hoffman and Matthew and David Mills; and four siblings, Charles Levan, and wife Linda, Stacyville, IA, D. Nelson Levan, and wife Janet, Orchard, IA, Elaine (Levan) widow of Henry Duckham, Falmouth, MA, Leona (Levan) Schlageter, and husband Robert, Fleetwood, PA; and sister-in-law, Kathy Levan, widow of predeceased brother, Robert Allen Levan, who died on Dec. 11, 2018; as well as numerous nieces and nephews. A funeral service to celebrate Irene's life will be held on Saturday, January 26, 2019 at 10:30 a.m. in Ludwick Funeral Homes, Inc., 333 Greenwich Street, Kutztown. Burial will follow in New Bethel Zion Cemetery, Kutztown (Krumsville). Relatives and friends are invited to a viewing on Friday evening from 6:00 to 8:00 p.m. and again on Saturday morning from 9:30 to 10:30 a.m. in the funeral home. The family requests contributions be made in Irene's memory to Lighthouse Baptist Church, 2096 Independent Road, Breinigsville, PA 18031 with memo line of “In memory of Irene Hoffman”. Contributions will help build clean water wells in Zambia. Ludwick Funeral Homes, Inc., Kutztown is charge of arrangements. Memories and condolences may be shared at www.Ludwickfh.com. I will always have great memories of my Aunt Irene. She had an incredibly warm heart. I can still remember staying at her home as a 4 year old while my parents spent a week in the Midwest looking at farms. (44 years ago) She just knew how to make you feel at home. Going up to Kutztown for dinner was always a highlight of our familily trips back to PA. She really knew how to cook. We will all miss her in Iowa but now she gets to see her best friend Uncle David. My thoughts and prayers are with you Darryl, Kim and Karen. Sorry we could not make it back. Jason. Please share your memories of M..